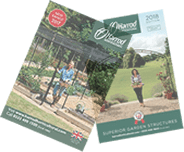 "I would like to say a huge thank you to the team at Harrod Horticultural, they managed to pull out all the stops and help us with a tight deadline for this project." 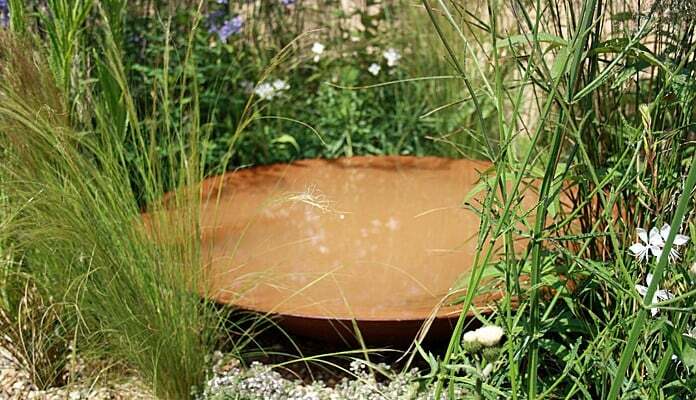 The brief was to design and fabricate 7 bespoke sized water bowls with each one to be aged more than the last to represent the 7 ages of man – starting with a pure mild steel bowl with no rust and working through the bowls until the final bowl is totally covered in rust. 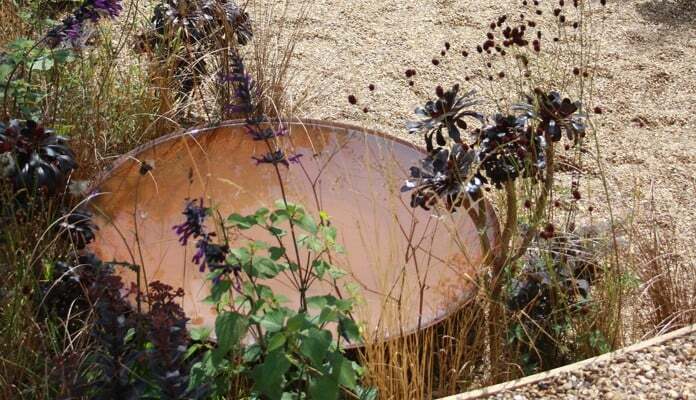 The planting surrounding each water bowl mirrors the transition from vibrant greens and pure white representing youth, to barren golds and deep purple representing the maturity of age. 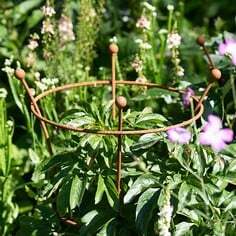 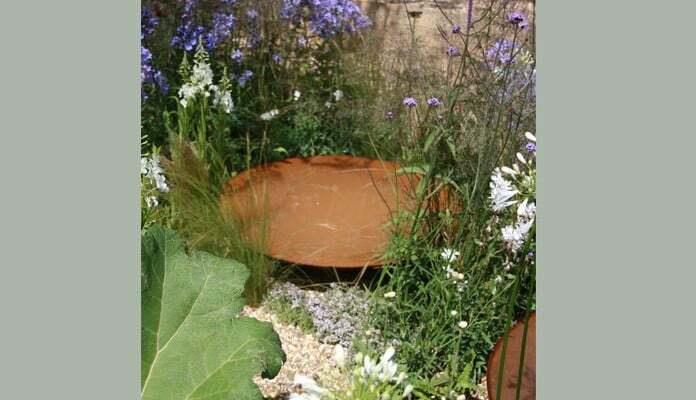 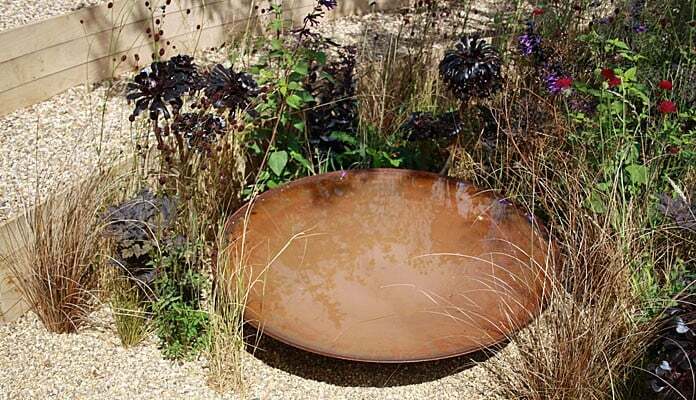 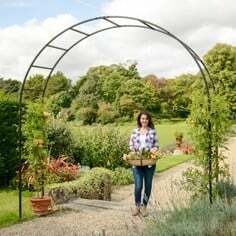 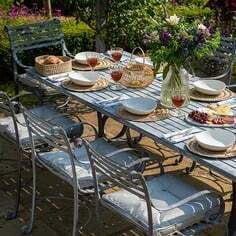 Harrod Horticultural were able to use their extensive knowledge of steel fabrication and contacts to advise on the ageing process and how to treat each bowl in varying stages to get the required result. 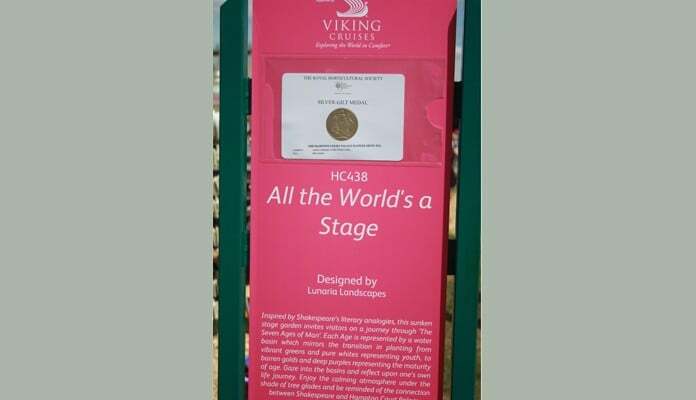 The garden also acted as a venue during the show for live performances and re-enactments from sections of Shakespeare’s most popular works. 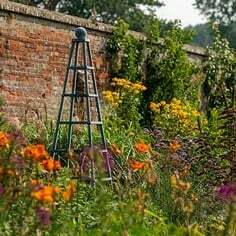 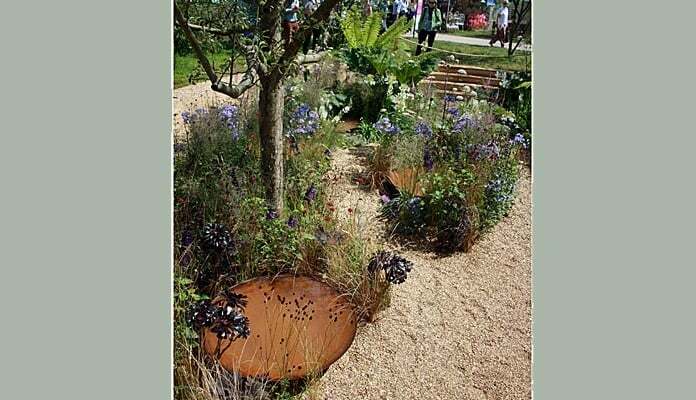 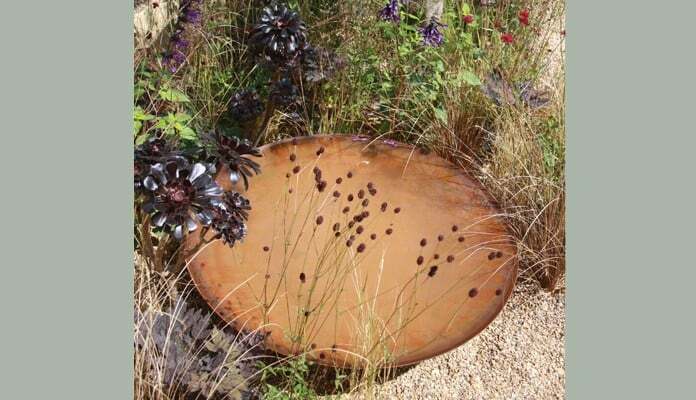 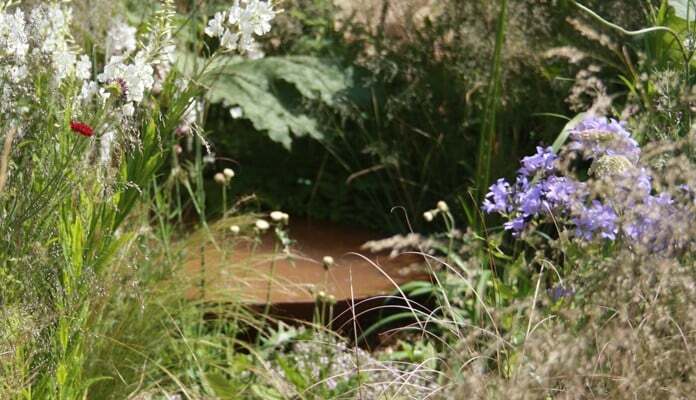 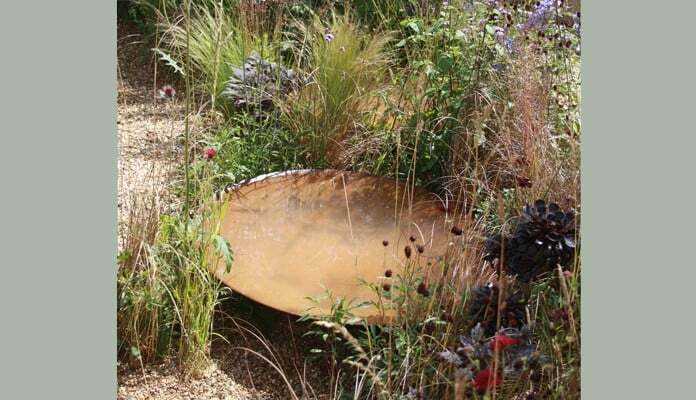 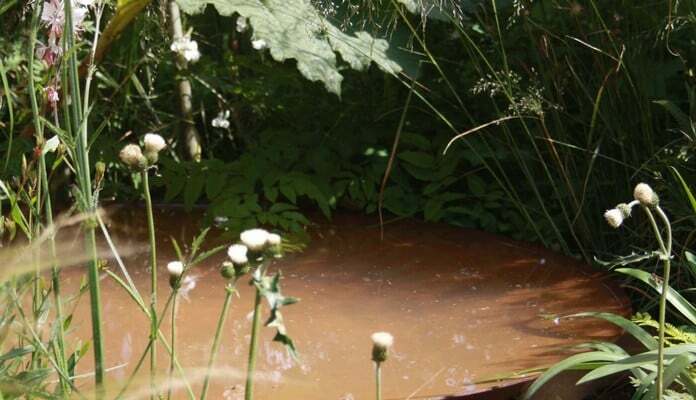 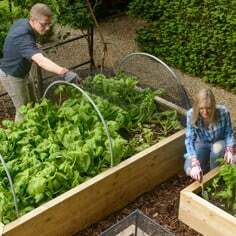 The garden won a Silver Gilt Medal and was comprehensively filmed during the week by The BBC with presenter Joe Swift declaring the bowl water features as the next biggest trend in the gardening world." 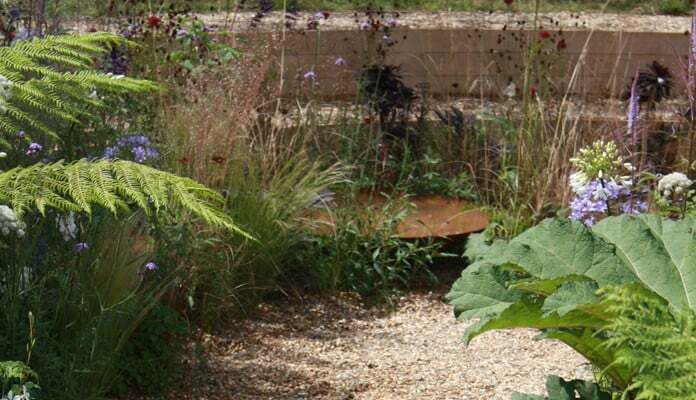 "I would like to say a huge thank you to the team at Harrod Horticultural, they managed to pull out all the stops and help us with a tight deadline for this project. 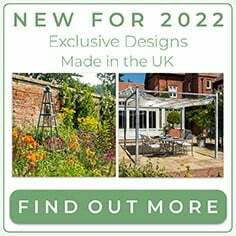 From initial concept they understood what we were trying to achieve and offered us several options and ideas for the design and manufacture alongside helping advise us on the ageing process of the steel with their experience. 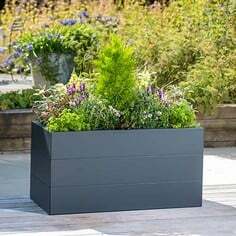 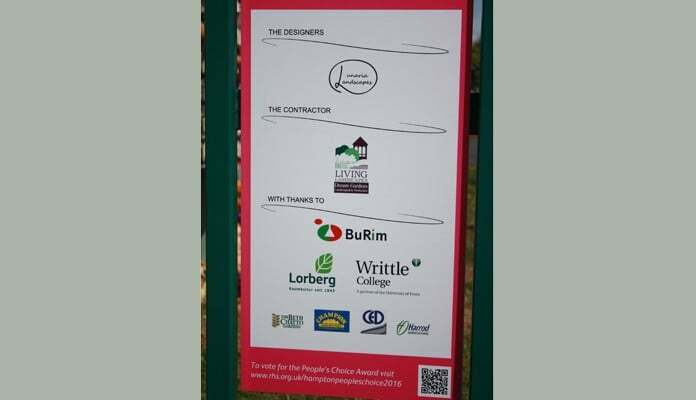 A huge thank to everyone involved at Harrod, the planters were filmed by The BBC for coverage of The 2016 RHS Hampton Court Flower Show and commented on by Joe Swift as being an upcoming trend all thanks to Harrod!"